I’m a huge fan of baby wearing. I have used and love soft structure carriers, ring slings and wraps. 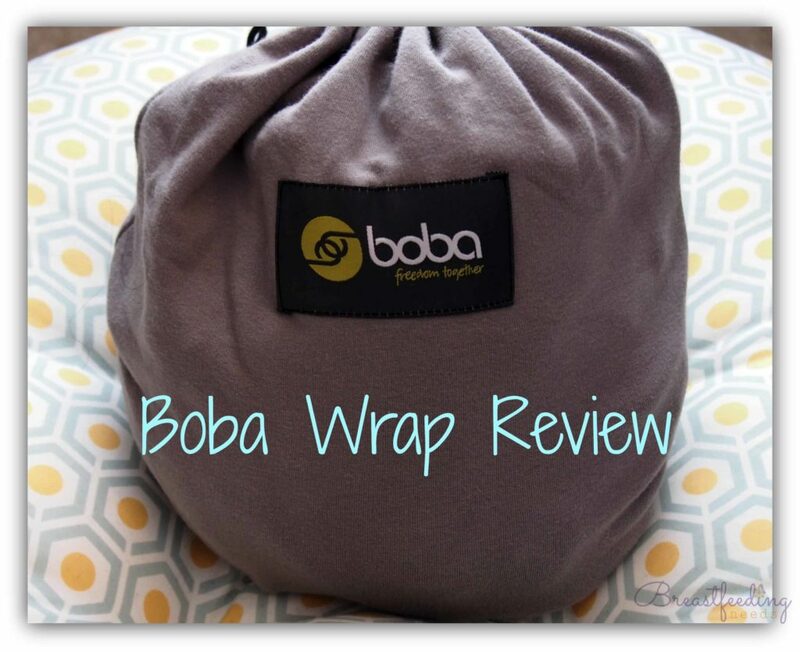 My favorite for a newborn is a wrap, so here is my Boba wrap review. When my first baby was born I quickly discovered that if I ever wanted to get anything done around the house I would need a way to wear her. I had a Bjorn and I do like it but I wanted something softer for around the house and better suited for a newborn. After a tiny amount of research I thought a wrap would be a good idea. At the time I had only heard of Moby wraps but one day while shopping, my mom discovered the Boba wrap and bought it for me. I wasn’t sure what the difference was but the price was right and it seemed perfect. It has a simple design, no buckles, straps or buttons. It evenly distributes baby’s weight so it’s comfortable for a long wear time. Baby can be carried facing you and in an infant hold. Boba wraps are made out of a machine washable 95% Cotton/5% Spandex blend. I love the spandex blend because that little bit of stretch keeps things snug and from stretching out on you. This wrap can support a weight Range of 7-35lbs. I personally love wraps for newborn babies but they are made to still be supportive even once your baby is older. In my case I tend to use the Ergo and sling more once they are over 15 pounds. Now when you first pull a Boba or any kind of wrap out of the box it is a little daunting to see all the fabric. I read the instructions and practiced a bit. It is a bit of a learning curve but with a little practice it clicks and is actually pretty easy to tie. I can tie it in seconds now. I would definitely recommend practicing as soon as you get it so it’s ready to go when needed. Watch this video a few times if you need help tying it and you will be a pro in no time! You can breastfeed easily in this wrap. 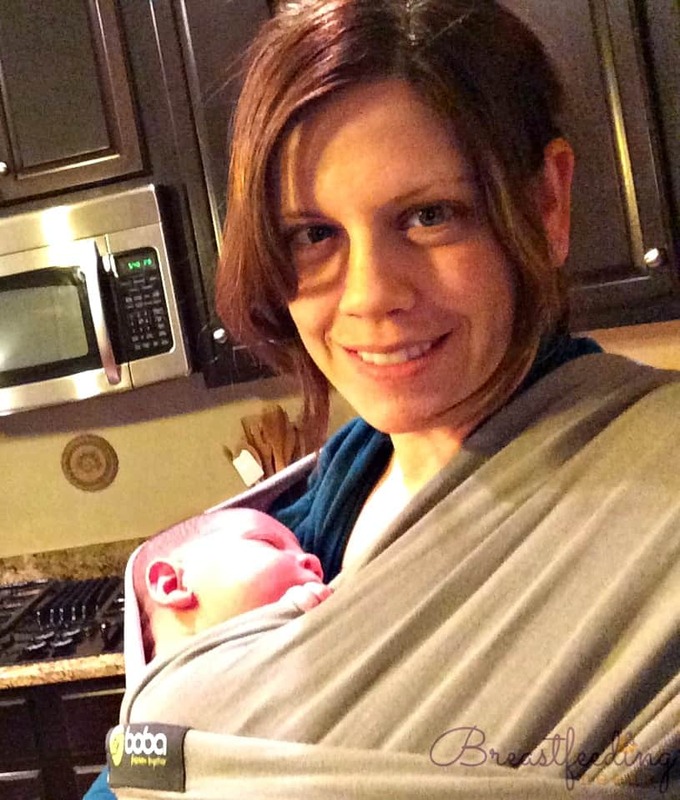 This wrap makes hands free baby wearing easy whether you are out and about or on the couch with your sleeping baby. I have the Boba wrap in grey but it comes in several great colors and patterns now. I wish I had another tiny baby so I could buy a new wrap in their flower pattern! There are many benefits to baby wearing and I’m pretty sure both of my babies loved being carried in the Boba. 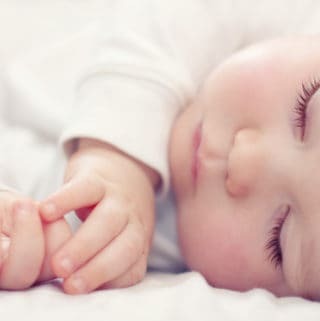 Babies that are carried fuss less and sleep more. They are comforted by the close contact and sound of your heartbeat. I used this wrap a lot with my daughter when I was working. I worked part time from home after she was born and there were times I had to work and tend to her at the same time. I knew if I put her in the Boba I was pretty much guaranteed she would fall asleep and stay asleep quite awhile. I found it easy to wear her and work at the same time comfortably. I also wore my son in my same Boba a lot when he was a newborn. I used it once I went back to work with him too. I had to wear him and work several times and he slept right through it. The wrap is very soft so there are no buckles or anything hard digging into your baby. Once you get the hang of the wrap down it’s easy to get them in and out. They love being so snug and cuddled next to you. Any negatives to a wrap? May not be the best all in one solution. If you really only want to buy one baby carrier that can be used through toddler hood you may be better off with a soft structured carrier such as the Ergo. The Boba can support up to 35 pounds but I find it much easier to carry a big baby in a soft structure carrier. You will need to learn how to tie the wrap. You will need to practice a few times before you can just pop your baby in. I don’t believe it’s hard to learn but you may not want to take the time when there are other carriers out there that are simpler right out of the box. It is one long piece of fabric that will need to be tied. Again, if you do not want to learn to tie it you may want to consider other options. Since it is a long piece of fabric it can be kind of hot once you have it on. Once your baby is in it of course it will be even warmer. So, it may not be the best choice for a humid summer day. 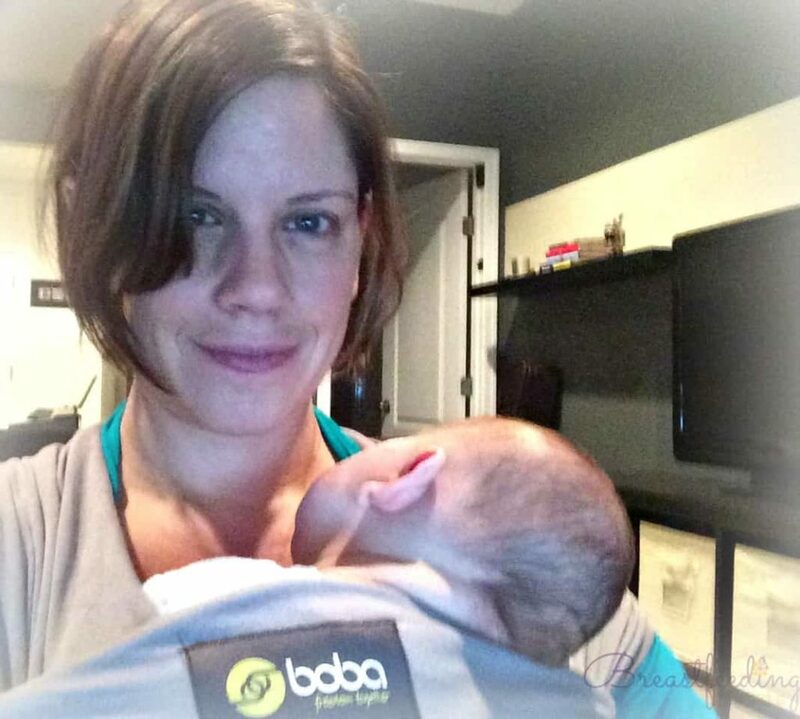 The Boba wrap is a soft tie carrier for your baby. It’s easy to learn how to tie with a little practice and very cuddly and supportive for a newborn. 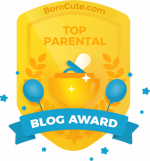 I have used it for both of my babies and it was my go to newborn baby wearing carrier. It’s also easy to breastfeed in a wrap. You can find the Boba at a discounted price with free shipping and returns. If you would like to read more reviews of the Boba you can check them out here. Please let me know if you have any questions about this wrap at jen@breastfeedingneeds.com and happy wrapping! P.S. Please don’t mind my hair and look in these pictures! I want to show you the wrap being worn but I wasn’t too keen on upkeep in those early baby wearing newborn days!! Previous Post: « So, Does Breastfeeding Burn Calories?